Discover the true story of Valentina Tereshkova, a young textile worker plucked from obscurity to lead the Soviet Union’s race to the stars. 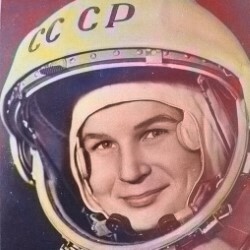 With her nation competing against the United States to put a man on the moon, Tereshkova, (code name – Chaika: Seagull) becomes the first woman in space. However, she immediately encounters a catastrophic mechanical problem that could lead to certain death. Meet Yuri Gagarin, the Soviet Space programme, and discover the secret Tereshkova kept for over 40 years. An uplifting, magical drama about brave young cosmonauts who risked their lives for progress.